Have you ever turned down a promotion or other important career opportunity because it involved public speaking or travelling to another city? Although everyone deals with stress in the workplace, for individuals with an anxiety disorder, these daily stressors can become debilitating if they’re not managed. According to official figures from the Office for National Statistics, nearly a fifth of adults in the UK experience anxiety, although a higher proportion of women than men suffer from it. Anxiety can make it difficult to meet deadlines, make presentations or participate in meetings, and even social events such as office parties or staff lunches can become a source of stress. If this sounds familiar, here are a few ways to better manage your anxiety in the workplace and prevent it from holding you back in your career. As odd as this may sound, research shows that there are actually some benefits to anxiety, and recognising these benefits can help you focus on the positive and give yourself more credit for the things you do well. For instance, one study found that anxious people may perform better in actual crisis situations, because they use a different part of their brain to non-anxious people, which helps them detect and react to threats more effectively. People with anxiety also tend to have higher IQs, higher empathy levels and are more attuned to other people’s state of mind. So anxiety is not all bad, and although it probably interferes with certain aspects of your job, it can help to remember that you’re also very capable in other areas. When we feel anxiety creeping in about a situation at work, our first instinct is usually to try and suppress these unwanted feelings, but this may end up making the anxiety worse. Research shows that thought suppression is actually counterproductive, and when we try not to think about something, that same thought often comes back even stronger. This is why it’s generally not very helpful when someone tells us to ‘stop worrying so much,’ because the more we try to stop worrying, the more anxious we become. So rather than trying to suppress your anxiety, start by simply acknowledging that it’s your body’s natural response to stress. Once you’ve accepted it, you’ll be in a better position to cope with the symptoms. Dr Elizabeth Lombardo, psychologist and author of the book Better than Perfect, notes that one of the reasons women might be more prone to anxiety is that while men tend to engage in more problem-focused coping, women are more likely to ruminate and focus on the emotional stress of a problem. “Instead of being upset about what happened in the past or worrying about what might take place in the future, try to focus on the present,” she advises. If you’re feeling anxious about a particular situation, it’s easy to blow things out of proportion and start to imagine all sorts of unlikely scenarios. When this happens, it can help to stop and put things in perspective. “Catastrophising refers to making a huge deal about something that is not that huge,” explains Lombardo. For instance, you might be thinking ‘I will get fired if I mess up this presentation,’ when in reality, one bad presentation is unlikely to cost you your job. Aiming for perfection in your work can be another big source of stress, because by setting unrealistic goals, you’re setting yourself up to fail. Finally, remember to take care of yourself and address your stress proactively through regular exercise, restful sleep, mediation, good nutrition and spending quality time with loved ones. If you feel you don’t have time to do these things, just remember that it doesn’t have perfect. Five minutes of meditation first thing in the morning or a short walk at lunchtime can be better than perfect. Nigel Magowan is able to offer a range of employee assistance services to small and medium-sized businesses in the Manchester area. Employers wishing to provide help for their staff members can refer them for counselling, coaching, CBT and EMDR. Employee assistance programmes can help staff with personal problems and/or work-related problems that may be impacting on their job performance, health, mental and emotional well-being. 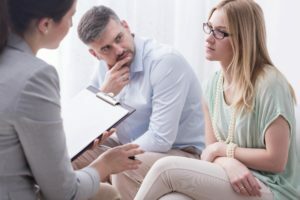 Employee assistance is considered an employee benefit with the employer either paying for short-term therapy, or sponsoring staff members by contributing towards a percentage of their treatment fees. 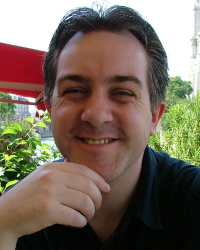 Nigel is an experienced UKCP and BACP Registered Psychotherapist and counsellor, and an EMDR Therapist, and has completed additional training in cognitive behavioural therapy (CBT). He runs his own private counselling and psychotherapy practice in Chorlton, South Manchester, not far from Manchester City Centre, Didsbury, Stockport and Trafford.